remember the family hives? despite some hiccups along the way, we still have them after all these years! 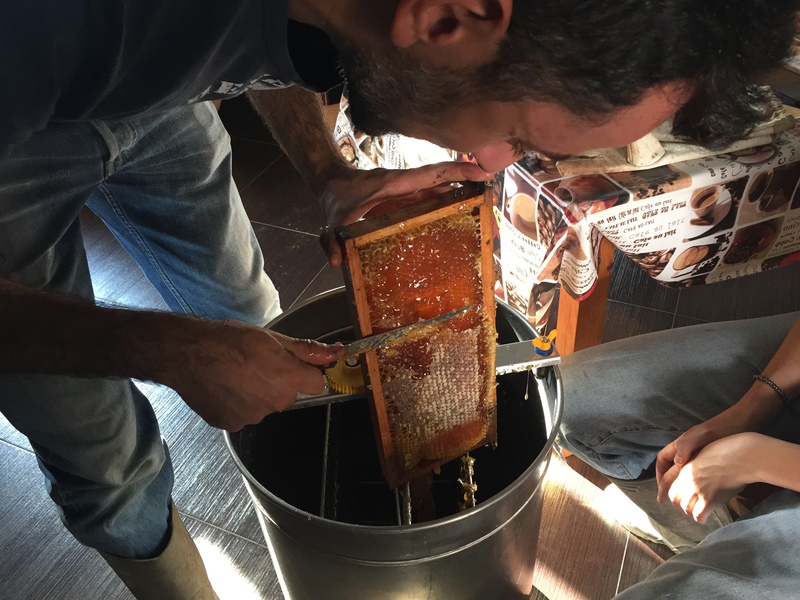 when autumn comes, the honey is collected and this year we were fortunate to have quite a bit of the sweet stuff. my brother recently harvested it and i made some videos of the process, skipping the opening of the hive as there were not enough suits for everyone. last part: opening the bucket to sieve the honey and separate it from the bits of wax that come with it. after that, just bottle it and voila! 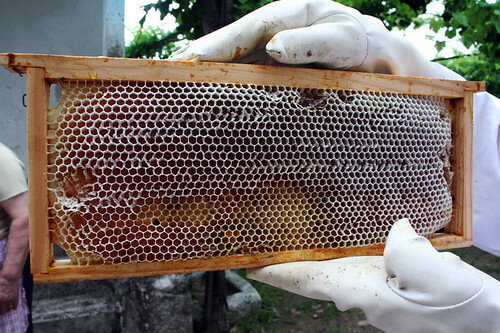 i like beekeeping — every phase of the honey-making process is beautiful! 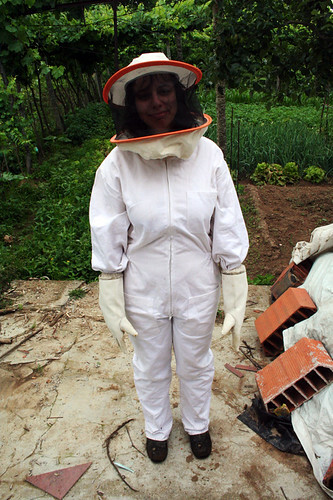 when i was in portugal earlier this month, my brother gave me a tour of the family’s new beehive (the previous one was hit by the varroa mite and couldn’t be salvaged). the tour was a little scary, but very informative! i’m afraid we spoke portuguese throughout the whole thing, but if you’ve ever wondered what the inside of a beehive looks like, here’s your chance to find out! i’ve since learnt that ours is a lusitana hive, (a type of langstroth hive), with a brood box (brown bottom part, where the queen nests and bees are born) and honey super (top blue part, where the honey is stored). did you notice how hard it is for the frames to come out sometimes? 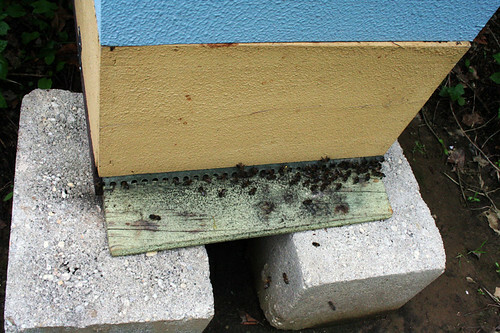 that’s because of propolis, a resinous mixture that is collected by the bees and used for sealing gaps. you can see how quiet and calm the bees are in the beginning – but that quickly changes when we get to the brood box, where the queen is. the informatics engineer turned beekeper, has gracefully introduced me to his new hive. it’s funny how they work – you just stack a wax frame with a very shallow pattern on the hive, and slowly and meticulously, the bees grow the pattern and fill it up with honey. he’s hoping he’ll have loads of honey by christmas, and i don’t doubt he will. things are looking (and smelling) pretty good!